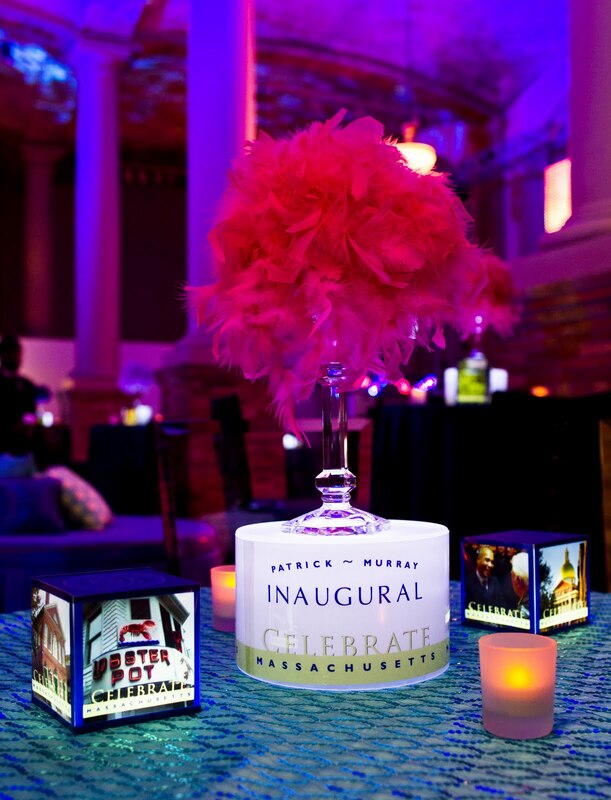 The Boston Public Library provided an elegant setting in which to celebrate Massachusetts Governor Deval Patrick's re-election gala in January, 2011. Built in 1895, the library's lavish architectural detail and mural decorations by John Singer Sargent and Puvis de Chavannes offered a stately backdrop to the colorful event decor installed by Michael P. Wasserman, Inc.
Illuminaria created internally lit decorative elements that featured images of Massachusetts and the Governor to personalize the evening's festivities throughout the event space. 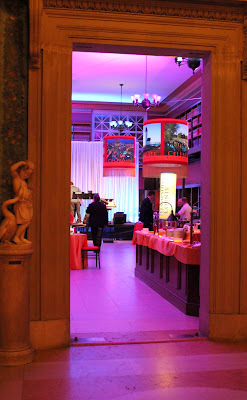 The building was dramatically lit inside and out by Port Lighting. 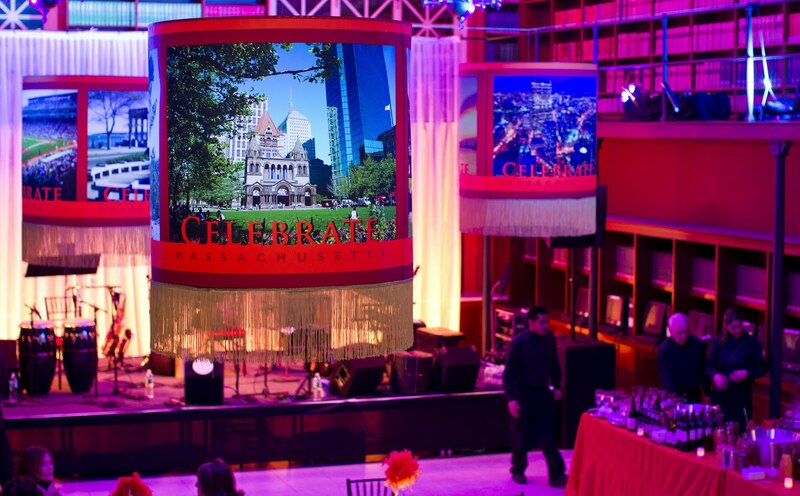 Illuminaria's large square columns, lit with theatrical lighting and custom printed with scenes of Massachussetts. 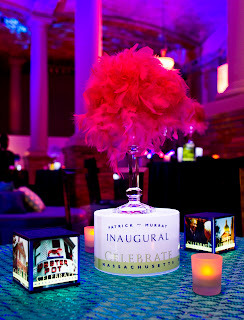 Illuminaria custom graphics for the event wrapped around an internally lit vase, topped with fru fru. 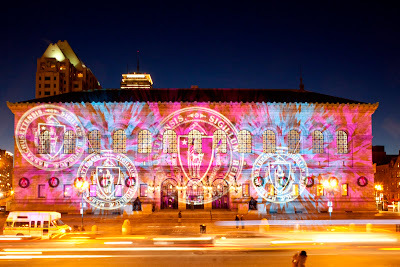 Illuminaria customed designed, printed and lit from within "cubes", again with scenes from the state of Massachusetts. "THE COMMONWEALTH REQUIRES THE EDUCATION OF THE PEOPLE AS THE SAFEGUARD OF ORDER AND LIBERTY". Words of wisdom for a two time Governor.